USA Hardwood Floors - The best hardwood floors in town! USA Hardwood Floors is a first-generation family owned business. We service all of Oregon and Washington states. Today at USA Hardwood Floors we had known for our professionalism, capabilities, superb craftsmanship, efficient service, and technical knowledge of the any wood flooring trade. Our team of hardwood floor specialist’s work under the strict guidelines of the owner to ensure our customers with the best quality of work performed and work you can be proud of. USA Hardwood Floors will be happy to serve you, and we stand behind their performance. Installations of Solid Hardwood, Pre-Finished, Engineered, and Laminate floors. Repairs and lace new floors. Borders & patterns and corner design. Custom Floors designed to last centuries. We work directly with our customers, builders, flooring stores, designers, as we source all your wood flooring needs. Excellent service is an important to us first step to obtain and / or provide a excellent quality product. We will personally meet with you on the jobsite at the best time for you. We will be happy to answer any questions you may have, either through our craftsmen or just by calling the our office. We are very dedicated to maintaining your schedule and needs. Please consult our sales professionals on your next project. We would be glad to assist you at any time. Our company continually looks, to the future for development and commits itself to staying dominant in the hardwood flooring industry. We constantly look for you the best wood, perfect grains, richest hues, and / or the newest technology. USA Hardwood Floors is here to satisfy you. Great people, excellent service, quality products, and customer satisfaction has made our business successful and is our platform for growth. so if you want the best, call the best! We pride ourselves on offering very high quality hardwood flooring, and wood floors in Oregon, Washington and we offer our services at very competitive rates. We bring years and years of experience to the table, as well as maintaining high standards, strong work ethics, reliability, and high quality of work. We are fully licensed, bonded, and insured to install, refinish and service any kind of wood floors in Oregon and Washington states. 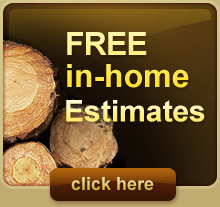 We offer service and install Wood Floors in Oregon and Washington. Our dedications to the job, honesty and hard work have earned us excellent reputation for years among our customers. Each of our employees has been thoroughly checked for reliability, professional training and willingness to do a good job for you. USA Hardwood Floors will be happy to serve you, and we stand behind their performance. Our staff of experienced floor men can perform any kind of floor job, from laying simple strip flooring to custom-design floor patterns, from a natural finish to any color requested by your interior designer. We cooperate with architects, interior designers, contractors, but also provide service to individual customers. We also offer a variety of different finishes from the traditional Swedish to the less toxic yet highly durable Waterborne finish.